Javi Gracia | "Sometimes you laugh, sometimes you cry. That's the beauty of the sport." "Sometimes you laugh, sometimes you cry. That's the beauty of the sport." You already know who scored the most goals, who some opine was the best player; but have you seen a La Liga alphabet of the best and worst performers? Probably not. So, here is mine with almost (sorry, Levante) one mention of every club in the league. A – Aduriz. The Athletic Bilbao striker produced his best league goal scoring season (18) and cemented himself as the highest scoring Spaniard in La Liga as well. 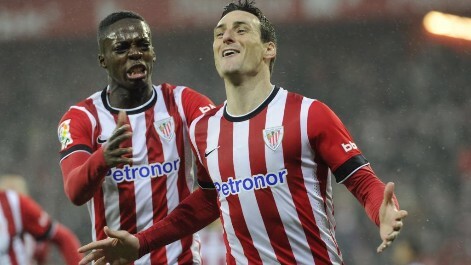 Additionally, his five Copa del Rey goals steered Athletic to the final. The Basque club’s tough task will be when the 34-year-old requires replacing. Some bright names come to mind from the academy (Villalibre, Williams and Guillermo), but it will take a while until the towering forward’s influence can be remotely replicated. B – Bueno. Like the former, Alberto Bueno turned in his highest scoring season ever in La Liga. The Real Madrid product helped Rayo Vallecano to another comfortable season finish by netting 17 – including four goals in one game. Such was the high magnitude of his performances that, once the season ended, FC Porto acquired his services. C – Camacho. The Malaga midfielder’s season was his best since the 12/13 season. In fact, some would argue it was better. Casting a net over his defence, Camacho produced three successful tackles and three interceptions, on average, per game. A staggering amount for a Malaga side that were outplayed and overrun in midfield a multitude of times last season under Bernd Schuster. D – Djukic. The manager was only at Cordoba for five months, but results did not quite reflect the influence he had on his players. For a while under Djukic, the players were happy and playing more positive and fluid football than under Albert Ferrer – whom they failed to win a game under. The squad just wasn’t good enough for any manager to save; three men tried. Djukic has had horrid luck choosing teams to manage since departing from Real Valladolid to Valencia. His talent as a manager is quite high, and he is still learning, but perhaps he should choose potential jobs better. E – Eibar. Their fairytale story was almost as impressive and welcome as their scintillating form at the start of the season. At one point, they were as high as 8th – this, with the smallest budget and stadium in the league. They were overachieving by a long stretch of the imagination. But their squad size showed after January, when fixtures become thicker and targets intensified. They capitulated, picking up just 9 points from January 16th until the final day. Unfortunately, their story was cut short with no fairytale ending: a relegation on head-to-head. 35 points did not suffice for them the way it did with Deportivo and Granada. F – Fabricio. The Spanish goalkeeper just has not received the praise he deserves. His season has been on par with that of Keylor Navas’ in his final year at Levante. 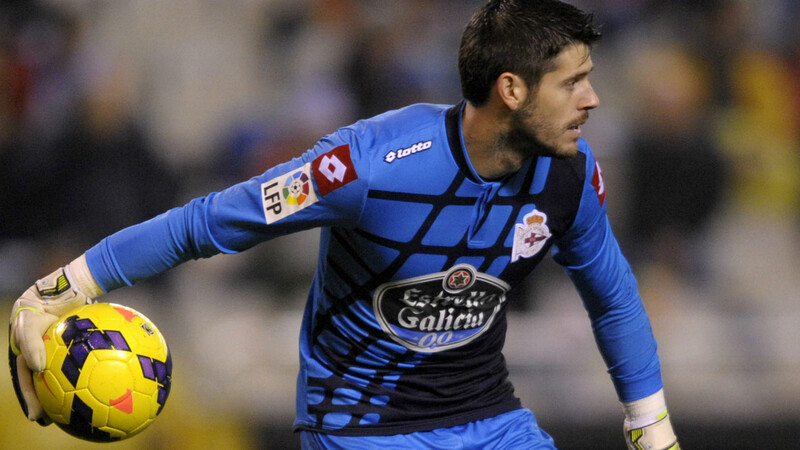 Double saves, triple saves, last minute saves, one-on-one saves – he has done the lot to keep Deportivo in La Liga. Without him, the club would have gone down even before Cordoba. He made 77 saves and kept 11 clean-sheets; most of which were, without exaggeration, solely down to him. Even on the final day his influence was tantamount to Depor’s survival. Two double saves kept the Galicians in the game at the Camp Nou. A game which Depor would draw 2-2 to ensure safety. G – Gracia. Malaga struggled excruciatingly last season under Schuster, scraping the relegation zone and playing some negative football. Nordin Amrabat was their only spark and subsequent reason as to why they stayed up. Their appointment of Javi Gracia – to replace Schuster – was a masterstroke. Malaga have played some beautiful, expansive football with one of the youngest starting XI’s in the league. In fact, their forwards’ performances were of high enough level that Vicente Del Bosque deemed them good enough for the Spain setup: Juanmi and Samu. Gracia is a young manager fixated on playing good, attacking football through the prism of youth. With a better finisher than Juanmi, Malaga could well have finished in a Europa League spot or beyond. H – Hernandez. Celta’s Pablo Hernandez scored one of the finest goals of the season – a mid-air back-heel flick past Moya – but his season consisted of sporadic starts and inconsistency in the final third. His influence was minimal, his involvement in associative play lacking. The Chilean was underwhelming despite the chance to have all eyes on him following that nonchalant goal against Atletico Madrid. I – Iñigo. Real Sociedad’s defender was a highly sought after product two seasons ago for his stalwart defensive performances during a successful campaign from the Basque club. Although last season was poor, riddled with defensive errors and inconsistencies, this season was the opposite. He was outstanding, especially since Moyes’ arrival and insistence on a strong defence. Despite very few speaking highly of him, rest assured his performances were back to being consistent and excellent. He is ready for a move to better things. J – Jonathas. On loan from Pescara, the Elche striker was one of the most impressive in the league. 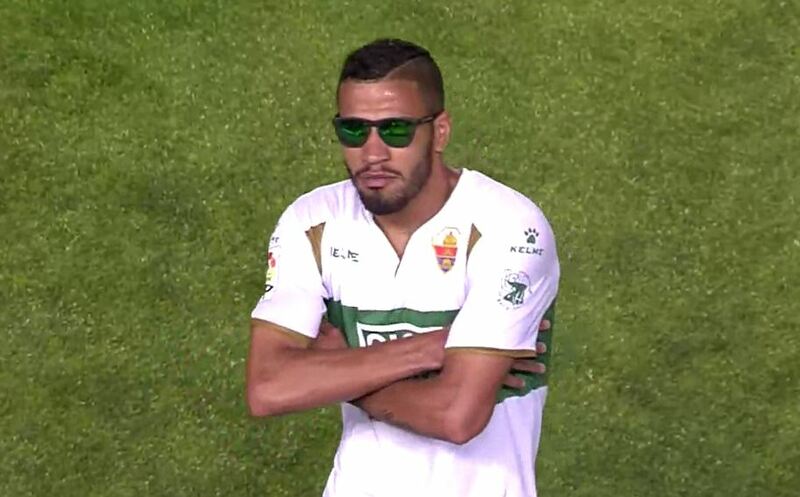 He scored and created circa 60% of Elche’s goals and was the standout reason as to why the club avoided relegation once again. His big upper-body, combined with pace and quick feet has drawn comparisons to Diego Costa quickly. I see him more in the mould of Bacca, personally. Speaking of which, he could very well be the Colombian’s replacement should Sevilla feel like parting ways. K – Krychowiak. Simply the best defensive-midfielder in the league at the moment. When Ivan Rakitic departed, many were waiting to see who the like-for-like replacement was, but Emery opted for a combative midfielder to shake up the system. Krychowiak has been phenomenal in breaking up play, protecting his defence and winning aerial duels. His passing range has been a plus, debunking the myth that combative midfielders have null passing range. L – Luis Enrique. The Barcelona manager was quickly lambasted and vilified at the start of the season for “stripping Barcelona of its identity” as one writer scribed. Barcelona were winning without dominating, scoring just one goal – typically from a youngster. But patience is key and Luis Enrique is now on course for a treble-winning season. He has converted Barcelona from a tiki-taka style no longer suiting their set-up, to a more explosive attacking approach. This has coincided with what I believe is Messi’s greatest period of form ever. This focus on attacking has seen every ounce of power, technicality and intelligence squeezed out of the best forward line in Europe: Messi, Neymar and Suarez. M – Mediterráneos. I may be cheating a bit, but Almeria’s stadium name is long enough and they deserve a bit of the spotlight. Their home form against sides battling them for survival was astounding. They comfortably outplayed and pummelled teams – for a while, they were feared for this trait. But their away form was lacking and the over-reliance of winning on home turf became apparent. Despite their relegation, Almeria played better football than the two teams that finished above them on the final day. N – Nolito. The Celta forward was outstanding – bar a dip in form from January until February. He scored 12 and assisted 11 – a great return which placed Celta just four points away from a Europa League spot. His season was so good that Del Bosque called him up to the Spain squad. This was, without a doubt, better than his season with Granada or anything he ever produced with Benfica. O – Otamendi. Valencia haven’t had a centre-back this good since Ayala’s departure. Genuinely. He has been the best centre-back in La Liga this season, and this after being a risky signing. He has scored important goals, defeating big teams, but has also been the key in a defence that only conceded 32 goals – especially impressive because most of it was made up of new players. It is no surprise that the biggest of teams are seeking his signature. P – Pepe. The Portuguese defender is often ridiculed and parodied for his aggressive, air-headed nature but this season has seen a complete transformation. He has outperformed Sergio Ramos – something which has not happened since he arrived at the club. He was a rock in the heart of Real Madrid’s defence and is beginning to gain (genuine) praise that is not followed by sly remarks about his outlandishness. Q – Quique Sanchez Flores. Aside from being the most well-dressed manager to ever grace a football pitch, it was a shame to see Quique manage for little over 40 days in La Liga. Employed by Getafe, he shortly left after a dispute with the shambolic board. He is an intelligent manager with an exceptional eye for analysis (as shown by his punditry on TVE and others). It would be nice to see Quique manage in a top league again and, this time, for a longer period of time. R – Rico. Rare is the occasion when a 21-year-old goalkeeper, in his debut season, outshines the veteran ahead of him in such fashion that wins him a call-up to his elite national team. This has been the season of Sergio Rico. Replacing an injured Beto, he has become the undisputed number one. Reflexes, cross-claiming, handling… name it, he has it. The only thing needed from Rico is a full season to assess his weakness and strengths but, as of now, he has been one of the finest goalkeepers in the country. Which says a lot when you consider the quality of his fellow shot-stoppers. S – Sergio Gonzalez. Another refreshing, young manager in La Liga with a lot of talent. Sergio almost took Espanyol to another Copa del Rey final, but his work in the league was as commendable. Up until the final day, the Catalan club were still in contention for a Europa League spot. His man-management ensured that the best would be seen again from Stuani and Garcia in attack but also instilled a strong, defensive foundation led by Diego Colotto and Alvaro Gonzalez. T – Tiago. The Atletico Madrid midfielder had a fantastic season – one of the best at the club. And he’s 34-years of age. Staggering, yes, but he plays with a youthfulness to his game that helps him carry out roles either as a box-to-box midfielder or deep playmaker. He can win a header with proficiency as high as he can unpick a defence. He is combative; he is intelligent. There are few central-midfielders better than Tiago in La Liga. He is the reason very few have spoken of Gabi’s huge dip of form in comparison to last season. His age is also the reason very few will appreciate his quality. 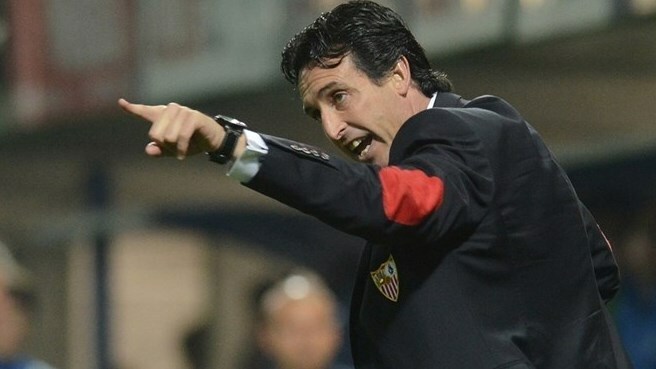 U – Unai Emery. Another Europa League final, another 5th placed finish. He is Mr. Consistency. The football Sevilla have played this season is mouthwatering. The power, energy and efficiency is matched by none in La Liga. The amount of Sevilla players called up to the Spain squad can only be beaten by Barcelona and Real Madrid – those players can partly thank him for their breakthroughs. He has done all of this to enormous effect, putting him on Florentino Perez’s shortlist for future Real Madrid manager. And maybe it wouldn’t be too farfetched to see him there one day. V – Vietto. Perhaps the most exciting, young striker in Europe this season. His darting runs, intelligence in build-up and high level of finishing has seen him lead Villarreal to a Europa League spot. Others have performed highly, too, but he is the magic behind things; the reason neutrals tune in to watch the Yellow Submarine. His strong technical level makes it very easy to get excited by his potential. There is no doubt that he will reach the very top. I would usually reserve this for players of his age, but he could definitely make the step up to an elite club and wouldn’t look a beat out of place. W – Weligton. 13 yellow cards, two red cards. The 35-year-old lived a season that was personally lackadaisical and lethargic on the pitch. He may be an integral part of Malaga’s defensive system, but his errors are hurting them. He is great at clearing the ball, but anything that involves on-ground work can quickly see him caught out. His erratic nature, age and regressive quality means that Malaga should start looking for a replacement. 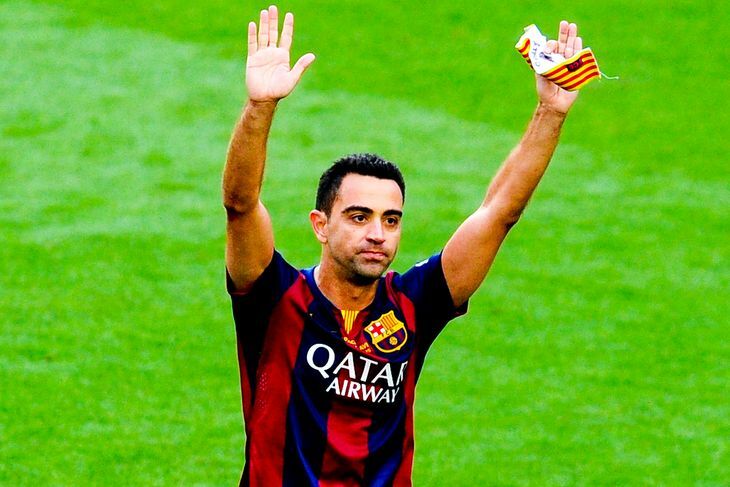 X – Xavi. I don’t want this to become a discursive essay on why Xavi is the greatest Spanish footballer ever, so I’ll cut it short: he is. This was his final season and, at times, he still showed himself to be the brain of the side. Used sporadically by Luis Enrique, Xavi has struggled less with the physical side of the game. He is on course for his second career treble – a perfect send-off for a perfect playmaker. Y – Yoda. No, not the little green dude from Star Wars. This Getafe player has had quite an exciting season. He caught headlines with his name, but quickly turned discussions to the direction of his technical ability. He is a fabulous dribbler, with pace to burn and creative freedom to break out of Getafe’s restrictive approach in the final third. Despite not featuring as often as hoped, every performance added a bit of flavour to Getafe’s build-up and movement. Z – Zuculini. This young midfielder embodied the wrong decisions that most promising players make. After joining Manchester City, it is believed that he had the choice to join three clubs: Valencia, Deportivo and Sunderland. Valencia was his choice, despite knowing that he wouldn’t play ahead of the pre-existing stars and the talented reinforcements made by ridiculously rich owner, Peter Lim. He could have opted for Deportivo – where the midfield was rotated more than any other position – or Sunderland where he would have comfortably added some flair to a typically physical midfield. Zuculini made zilch starts for Valencia and just one substitute performance. His loan was later terminated and he ended up at Cordoba, making eight appearances, with a distinct lack of motivation.